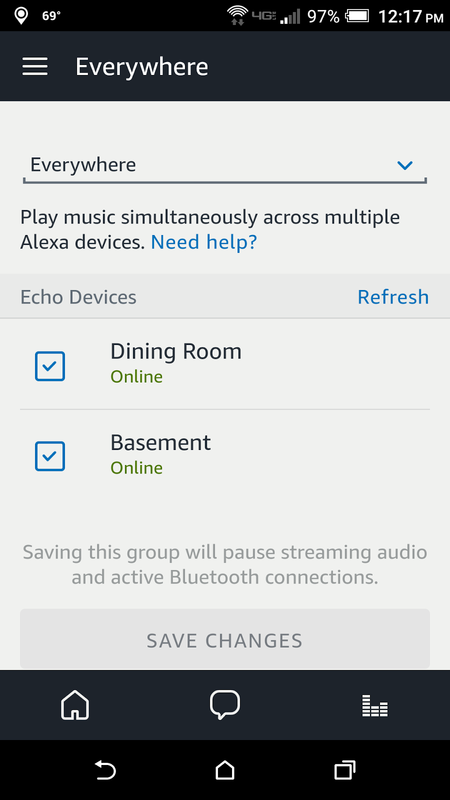 Amazon now supports playing music on multiple Echo devices from a single source, for example, my Pandora subscription. 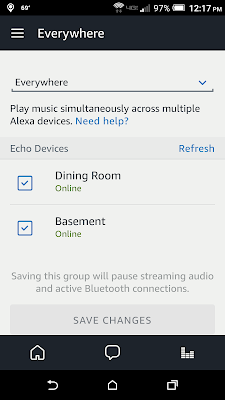 I used one of the standard names, "Everywhere", to link my Echo and Echo Dot together. When I play music, I just add "Everywhere" to the end of the command, like "Alexa, play Zac Brown Band on Pandora Everywhere". Most importantly, it's "Elaine approved"!